Artwork charges can differ in price depending on individual client needs. A firm price can be quoted when we know exactly what you need. computer air brush finished art. 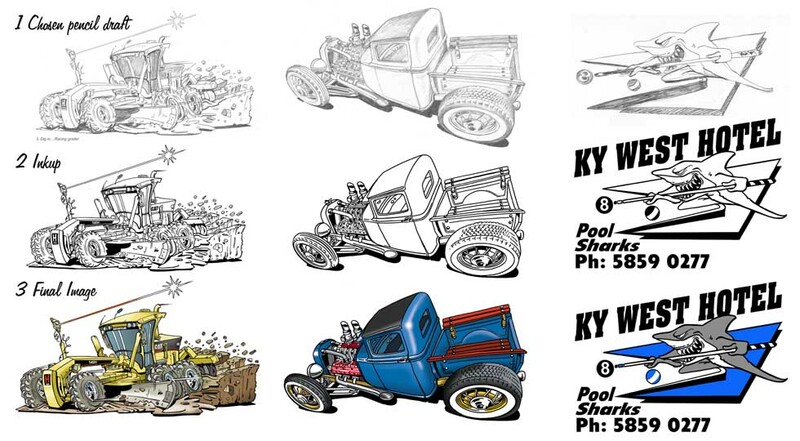 highly detailed illustrations or maybe simple black line drawings...call us.